After a frustrating week, Abby decides to pitch-in by chewing up my prescription eyeglasses. that is a seriously cute little face, and I can see that even without my glasses! Aaaawww!! She is so adorable! Adorable! 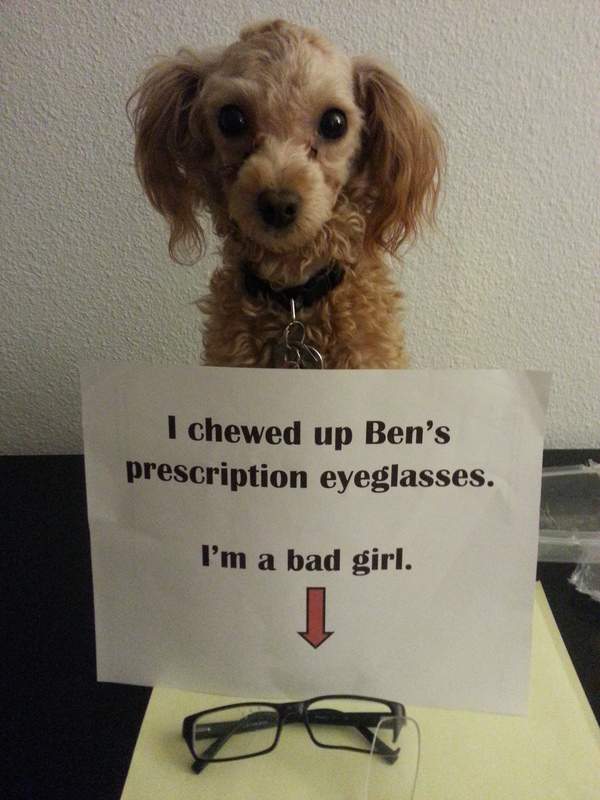 Maybe she sensed that you need a new prescription! Well, if it happened to me, my mom would say it was my fault for leaving my glasses lying around lol, the dogs can never do wrong in my family! My what big peepers you have ! She is much too cute to be a bad girl.